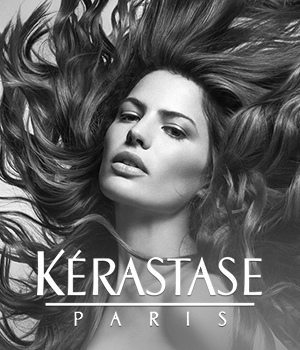 Hair ampules are considered as the ultimate weapon in the fight against extremely damaged and weakened hair. These are the treatment that, because of its intense action, doesn’t only affect outer hair structure but also it reinforces hair on an ad hoc basis. Usually, hair ampules are designed to be massaged into the scalp. Thanks to this procedure, all the substances can get into the dermis making it regenerated and cleansed. Moreover, thanks to this kind of the direct application, hair bulbs, which is the very place where hair health begins and ends, become reinforced. To clarify, if a hair bulb is healthy, then the hair that grows out from the bulb is strong and thick, is well-rooted in the follicle as it’s hard to lose it. Hair ampules don’t only regenerate hair bulbs and scalp but also are able to restore vitality to hair at their entire length. For that reason, it’s worth picking the ampules which have to be applied not only to scalp but also to the length of hair. This kind of a treatment will produce more satisfying results. After all, which one of us doesn’t dream of having shiny, smooth and silky to the touch hair that is pampered up to its ends? Hair ampoules are able to create a unique, protective coat on a hair’s surface. Thanks to this, strands will be shielded against adverse weather conditions such as the sun, frost, wind and the urban pollution, air conditioning and dry air from radiators. Hair ampoules have to be selected very carefully. The best solution is to reach only for the products that contain the high concentration of natural substances, which are safe for the scalp. It’s also worth mentioning that hair ampoule treatment can be undergone no more than two times a year. Frequent or endless use of ampoules might make hair addicted to the delivered substances of the high concentration. This, in turn, might affect hair in a very negative way. In other words, it’s highly possible that hair might be unable to deal with staying healthy on its own. For that reason, purchase of hair ampoules must me well-thought because it’s strongly advised against using another set of hair ampoules after finishing the first round. In this case, you can count on the beneficial action that natural oils can deliver to weakened hair since these are safe. 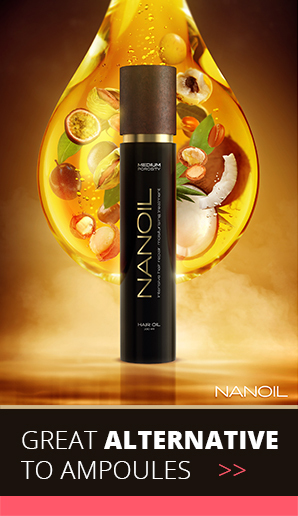 What’s more, natural oil’s performance might be compared to the outcomes achieved with the use of hair ampules.